Ching pulls from her past experience with leukemia and a rheumatologic disorder to reflect on a statement made by her sister, “I wish I could take the pain away and experience it for you.” Ching recreates a clinical setting within the gallery and asks the question, ‘What if you could take away someone’s pain and experience it?’ to challenge viewers about their conception of empathy. Ching will be performing everyday the exhibit is open. Follow the project at www.painisinvisible.com. Kathleen Ching was born in Brooklyn, New York. She received her BFA in Photography and Imaging from NYU’s Tisch School of the Arts in 2010. 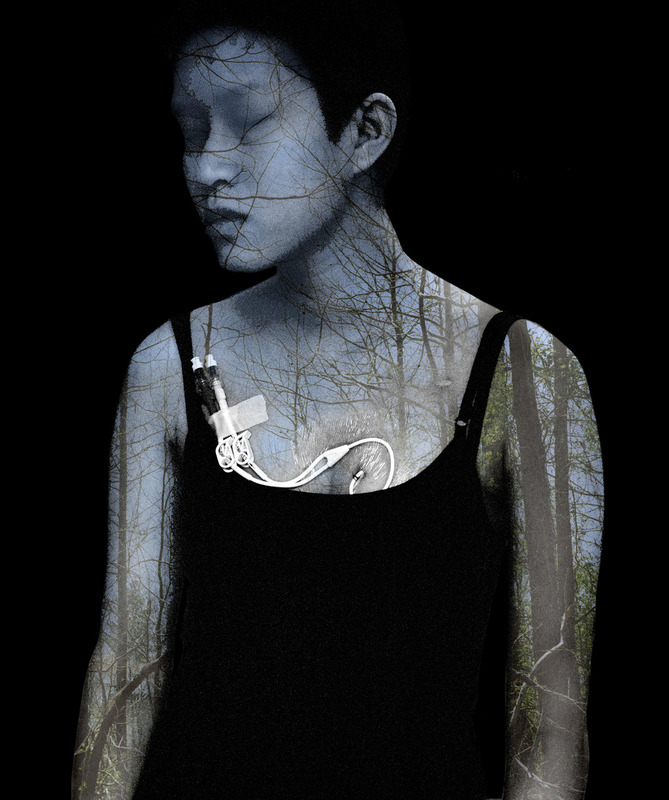 Ching predominately works in photography and has recently added performance and installation into her work. She has participated in group exhibitions including shows at Gulf and Western Gallery, The Ludwig Foundation in Havana and Deitch Projects. This is her first solo exhibition. The Richard and Mica Hadar Foundation is a New York based organization that provides college scholarships, mentoring and support programs for New York City students that have financial need and who demonstrate exceptional talent and commitment to the visual, written and performing arts. The Hadar Foundation curatorial committee is made of performance artist Bill Bierne, educator Beth Rosenberg and writer Ela Bittencourt.